A recent posting in Business Insurance described the litigation arising from contaminated raw chicken used to prepare further-processed products. In 2015, Mountaire Farms delivered 60 tons of fresh boneless chicken to Advance Pierre Inc., prior to acquisition by Tyson Foods. The chicken was intended to produce value-added products including raw breaded chicken breasts. The raw chicken was determined to have been contaminated with Salmonella only subsequent to processing. This resulted in the recall of 800 tons of product at the direction of the Food Safety Inspection Service. 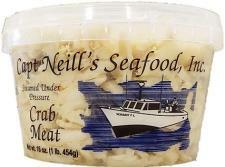 The recall followed a trace-back from patients infected with Salmonella Enteritidis (SE). It has been long held that Salmonella and Campylobacter are inherent to raw chicken as evidenced by the fact that there is no zero tolerance for either of the potential pathogens and that Salmonella is not regarded as an “adulterant”. Packaging of chicken and derived products carries warnings to cook product to at least 165F to destroy foodborne bacterial pathogens including Salmonella. Producers of both turkey and chicken should recognize that although thorough cooking can eliminate infection, consumers demand product that is wholesome. Confusion over ready-to-cook and ready-to-eat, further-processed products and the inherent dangers of ground turkey meat suggests a more intensive approach to prevention and ultimately eradication of SE. The alternative may have to be introduction of electron beam treatment for IQF and further-processed items. 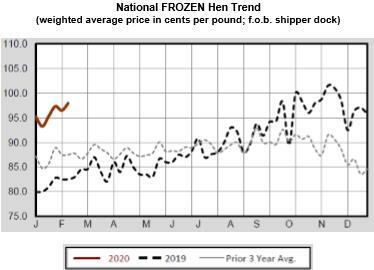 The Broiler Hatchery Report released on April 10th confirmed that a total of 231.1 million eggs were set during the week ending April 6th, one percent more than in the corresponding week in 2018. A total of 175.5 million day-old chicks were placed among the 19 major broiler-producing states during the week ending April 6 th. This was two percent higher than the corresponding week in 2018. Total chick placements for the U.S. amounted to 180.8 million. Claimed average hatchability was 82.3 percent for eggs set three weeks earlier. Broiler chick placements for 2019 through April 6th amounted to 2.58 billion, one percent more than YTD 2018. According to the April 12th USDA Broiler Market News Report (Vol. 66: No.15) for the processing week ending April 6th 2019, 164.3 million broilers were processed at an average live weight of 6.14 lbs. (6.16 lbs. 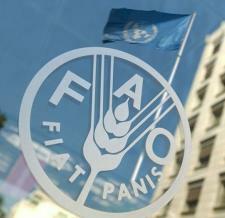 last week) and a nominal yield of 76.6 percent. The number of broilers processed was 3.5 percent more than the corresponding processing week in 2018. Processed (RTC) broiler production for the week was 755.3 million lbs. (348,449 metric tons), 3.5 percent above the corresponding week in 2018. Production YTD of RTC in 2019 is 10.47 million lbs. (4,759,696 metric tons), 0.7 percent more than in 2018 YTD. 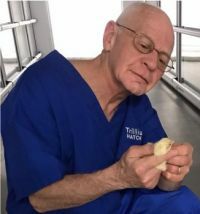 The March 14th edition of the USDA Turkey Hatchery Report, issued monthly, documented 27.8 million eggs in incubators on March 1st 2018 (28.1 million eggs on February 1st 2019) down 2.3 percent (0.7 million eggs) from March 1st 2018. 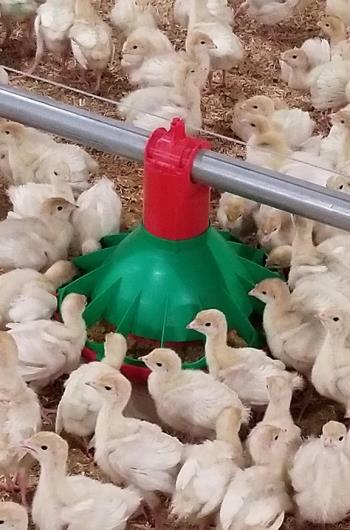 A total of 22.8 million poults were hatched during February 2019 (23.3 million in January 2019) and down 1.0 percent from February 2018. 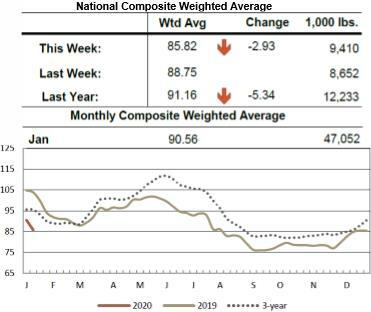 A total of 20.8 million poults were placed on farms in the U.S. in February 2019, (20.8 million in January 2019), 2.6 percent less than in February 2018. 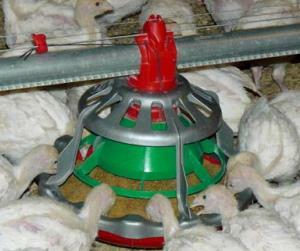 This suggests disposal of 1.0 million poults during the month. Assuming all tom poults were placed, 8.8 percent of hen poults or 4.4 percent of all February 2019 hatched poults were not placed. For the twelve-month period March 2018 through February 2019 inclusive, 284.8 million poults were hatched and 263.4 million were placed. This suggests disposal of 11.0 million poults. Assuming all tom poults were placed 7.7 percent of hen poults or 3.8 percent of all poults hatched during the period were not placed. In an April 2nd posting FoodMarket distributed by Urner Barry, reviewed a study conducted by Research and Markets on U.S. plant-based meat substitutes. It is estimated that sales of this category will reach $3 billion by 2024. Research and Markets predicted a 24 percent compound annual growth rate from 2018 to 2024, albeit on a small base. Health considerations will be the driver for red-meat substitutes with adoption by consumers purchasing from QSRs and even food trucks. At the present time, vegetable-based patties and vegan meatballs form the bulk of the replacement market. Convenience stores and specialty grocery retailers marketing organic and natural products will be a natural outlet for plant-based meat substitutes when FDA-approved labeling is introduced. The leading supplier is Impossible Foods, which has established a foothold in Red Robin and is under trial at Burger King with a “meatless” Whopper™. Additional suppliers include Beyond Meat, Greenleaf Foods, Hungry Planet and Next Level although it is anticipated that competition will grow. As yet, none of the producers of vegetable based meat substitutes has achieved any success replicating chicken that is growing in popularity at the expense of beef among customers of QSRs based on considerations of health and nutritional value. QSRs also favor chicken based on availability, price, sustainability and traceability. While the beef industry is concerned over cell-cultured meat and is lobbying for restrictive labeling, they are clearly neglecting their major competition in the form of vegetable-based protein as technology improves texture, taste and acceptability relative to beef. Lincoln Premium Poultry anticipates processing on September 3rd, despite the recent floods in Nebraska. Neither the 250,0002 foot plant that broke ground in June 2017 nor the hatchery were affected. Heavy rainfall has delayed the first phase of erection of growing houses, but initial production will commence at limited capacity with a gradual increase extending over a year of operation until projected output of two million chickens per week is achieved. Jessica Kolterman a spokesperson anticipates that the operation will employ 1,000 workers. A total of 432 broiler barns and 88 pullet and parent units will be required to supply the plant at full implementation. At the present time, 90 barns are either under construction or have been completed. A barn housing pullets operated by the Tecumseh Poultry subsidiary of Tyson Foods was destroyed by fire in the early hours of April 8th Tecumseh Poultry LLC was purchased by Tyson Foods in mid-2018. The Office of the State Fire Marshal is currently investigating the cause of the conflagration. There were no reports of injuries among personnel or first responders. The USDA National Agricultural Statistics Service released the 2017 Census of Agriculture on Thursday, April 11th. 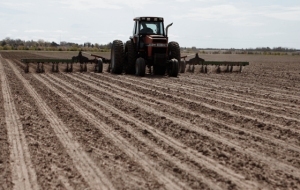 The report included the numbers of U.S. farms, total value of production, demographics and information of relevance to the grain and livestock industries. 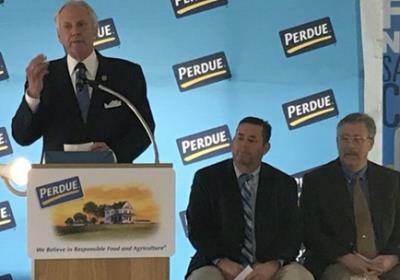 In commenting on the release, Secretary of Agriculture, Dr. Sonny Perdue stated “The census data will help inform decisions about agricultural education, research, farm programs, rural development and much more over the next several years.” It is noted that the USDA-NASS is currently working on the 2018 census covering 50 states and U.S. territories. A devastating fire destroyed the Chicago plant of Newlyweds Foods Inc. on Tuesday 2nd April. This was the first five-alarm fire in Chicago in five years and resulted in a level-one hazardous material alert. No injuries were reported, but the plant is a total loss. Production of premium batters, spices and seasonings will be diverted to other facilities and it is not anticipated that there will be a disruption in supply to the poultry industry. Geoff Cooper, president and CEO of the Renewable Fuels Association (RFS), together with Senior Strategic Advisor Bob Dinneen are continuing to lobby the EPA to allow year-round sales of E-15. The RFS characterized the disinclination of the EPA to “rubber stamp” the request and to follow procedures as a “source of frustration”. The Agency presumably functions to protect the interests of the Nation not necessarily to bias to either the RFS, environmentalists or livestock producers’associations. It appears that the objective is to obtain a positive ruling to potentially boost domestic use of ethanol to the benefit of the membership of the RFS. The reality is that even with implementation of a positive ruling by the EPA, actual sales of E-15 will be limited by the distribution bottleneck. Without blender pumps, and given that only recent auto models can operate with E-15, sales of the blend will be negligible. Again it is noted that addition of ethanol to gasoline is effectively a dilution of energy and although there may be a reduction in cost per gallon, mileage will be proportionally reduced by blend level, possibly negating any advantage from price per gallon. 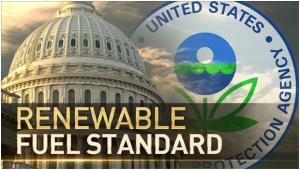 Without mandates, the ethanol industry would simply evaporate. The ethanol industry is reliant on a relatively low corn price for profitability. This situation should persist through the 2019 crop given the increase in intended planting of corn at the expense of soybeans. With a resolution of the trade war with China, hopefully within the near future, farmers may swing back to planting soybeans in place of corn, raising the price of corn in late 2019. In the event of a drought, corn prices would soar further complicating the economics of the ethanol industry but to the possible advantage of corn farmers unaffected by dry weather. 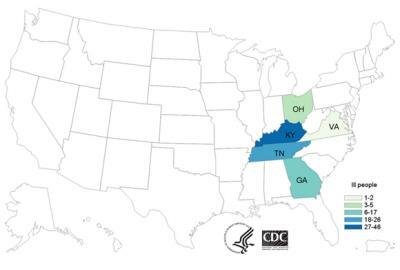 The Centers for Disease Control and Prevention (CDC) has recorded 109 E. coli cases in five states involving a presumed STEC. There have been 17 hospitalizations but neither hemolytic syndrome nor fatalities since the beginning of the outbreak on March 2nd. Cases have been identified in Georgia, Kentucky, Ohio, Tennessee and Virginia. Epidemiologic investigations initiated on March 28th and still in progress suggest ground beef as the vehicle of infection based on the fact that 63 of 84 patients interviewed reported eating this item in days preceding onset of clinical symptoms. 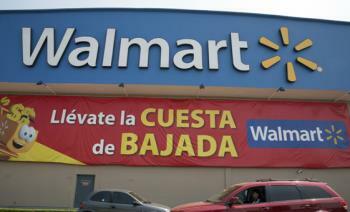 Reuters reports that Walmart is reacting against companies supplying arch-rival Amazon. Stunned by the rapid growth of Amazon and impacted by predatory pricing, Walmart is disinclined to concede any share of the grocery business in Mexico. The Company is proactively responding to the threat of Amazon in that nation with a claimed 60 percent of supermarket sales through 2,400 stores including Superama, Sam’s Club and Bodega Aurrera banners. Online business however represents a small proportion of sales and is in competition with Amazon which launched a website in 2015. Walmart has pressured suppliers to pull products from Amazon, is demanding lower prices from vendors and in some cases has requested that products be sold in different sized packs to those sold to Amazon. 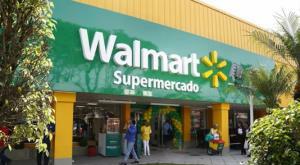 According to observers, Walmart can exert pressure on suppliers in Mexico without incurring legal consequences that would be forthcoming in the U.S.
Novozymes and Bayer are continuing cooperative development of products applying agricultural biochemistry directed to corn and soybean production. Novozymes is also partnering with Univar Solutions in the field of microbial technology. In recent weeks, the FDA has mandated recall of raw pet food as a result of isolating Salmonella and Listeria from routine quality assays. The most recent case relates to product from the Thogersen Family Farm in Washington State. This company produces pet food incorporating rabbit, mallard duck, llama and pork as byproducts from their farming enterprise. Recent pet food recalls have involved large companies carrying a greater risk of introducing pathogens into homes. Salmonella will colonize the intestinal tract of pets resulting in intermittent and long-term shedding. This represents a danger to family members and especially children enjoying close contact with pets. There is no nutritional benefit from feeding raw diets but certainly higher risk of infection with foodborne bacteria to animals and their owners. 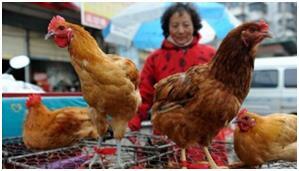 Xinhua the official news agency of China reported a case of H7N9 avian influenza in the Inner Mongolia region. 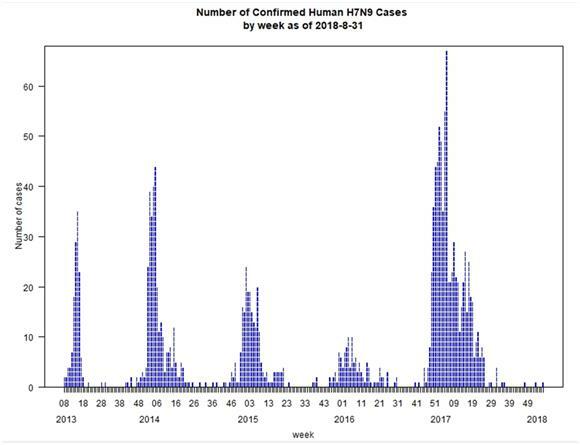 During the winter of 2016, 300 fatalities were attributed to H7N9 influenza and the infection continues albeit with a lower incidence due to extensive vaccination of poultry flocks. The elderly are at special risk of infection and suffer more severe consequences. 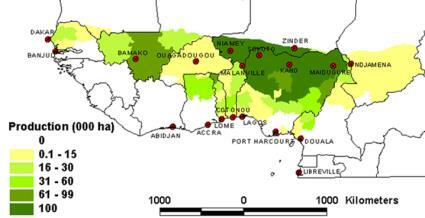 Most of the cases are associated with exposure to live poultry or their viscera at wet markets. Albertsons Companies has joined the IBM Food Trust network and will begin applying technology to ensure trace back from farm to shelf. The Food Trust now includes 80 brands providing transparency and positive identification through the supply chain. Herring noted “An ASF outbreak would immediately close our export markets at a time when we are already facing serious trade headwinds.” He commented on the retaliatory tariffs which have impeded exports to China although ASF may create a demand for U.S. product in the near future. The World Pork Expo is held at the Iowa State Fairgrounds in Des Moines and normally attracts over 20,000 visitors. The affair was last canceled in 2001 following an outbreak of foot-and-mouth disease in the U.K. 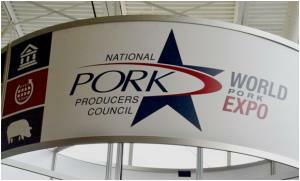 In their Legislative Action Conference to be held in Washington this week, representatives of the National Pork Producers Council (NPPC) will meet with Representatives, Senators and their staff to urge increased surveillance at ports of entry and international airports. It is imperative to interdict possible introduction of contaminated meat from nations where African swine fever has been diagnosed. Dr. Liz Wagstrom, Chief Veterinarian for the NPPC noted that the U.S. Customs and Border Protection Agency would have to increase the current complement of officers by 600 to a total of 3,000 to effectively monitor points of entry. 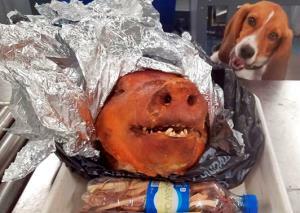 It is understood that USDA will deploy more beagle teams at airports to avoid deliberate or inadvertent introduction of contraband pork. 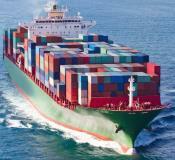 Last month a number of containers of partly cured pork were discovered at the Port of Elizabeth in New Jersey. 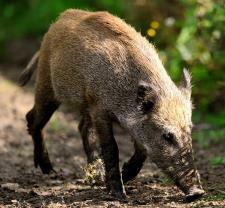 Korea, Taiwan and Japan have all identified contraband pork in the baggage and personal effects of visitors from China. Although the risk of introduction of ASF to the U.S. is small, the consequences are immense based on the HPAI epornitic in 2015. 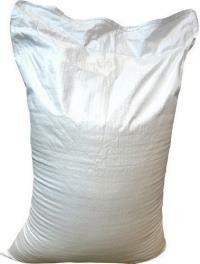 Since this time, outbreaks of PED in the U.S. and Canada occurred as a result of importing ingredients in contaminated bags resulting in extensive losses. Based on experience in Eastern Europe, biosecurity has been strengthened on major commercial sow and grow-out operations. South Carolina Governor Henry McMaster attended the inauguration event together with members of the Department of Commerce and Dillon County Officials. Improvements to the facility include installation of a shipping cooler, automated pallet storage and office space. Aviagen Group has announced an agreement under which Avicola del Norte (Avinor) will become a strategic partner of Aviagen and will operate as Aviagen Peru. 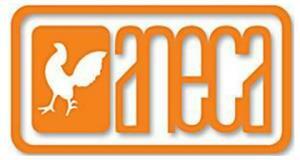 This is the second direct presence of Aviagen in Latin America following Aviagen Brazil established in 2007. Aviagen Peru will be based in Lima with facilities in Trujillo and La Libertad. Cesar Muro will remain as General Manager for Aviagen Peru reporting directly to Ivan Lauandos, president of Aviagen Latin America. Avicola del Norte has distributed Ross® products since 1998. The parent company, the Rozio Group owned by the Quevedo family was founded in 1967 and is now a diversified agribusiness company in addition to their focus on poultry. On September 26th 2018 the President of the U.S. and the Prime Minister of Japan established topics to be included in a proposed comprehensive bilateral trade agreement. It is noted that the U.S. unilaterally withdrew from the Trans-Pacific Partnership subsequently restructured to include eleven participating nations and termed the Comprehensive and Progressive Agreement for Trans-Pacific Partnership. During the coming week, formal negotiations will commence on an agreement between Japan and the U.S. with considerable divergence as to terms including both goods and services. Naturally, the U.S. is eager to export agricultural products but at the same time is concerned over a negative trade balance. 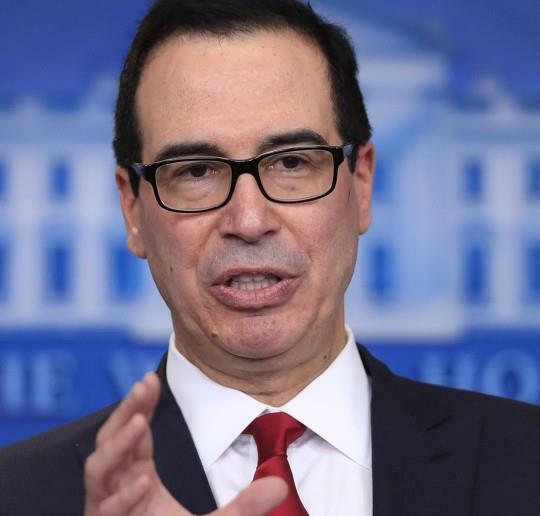 The U.S. intends extracting concessions on pharmaceutical pricing, currency manipulation and agricultural restrictions beyond those agreed to in the original TPP Agreement negotiated in 2016. Japan requires more extensive access to U.S. markets and compliance with WTO Article 24 that mandates free trade. Negotiators for Japan have indicated that any agreement with the U.S. that ignores WTO Article 24 will not be approved by the Diet (the legislature in Japan). Negotiators for Japan are insisting on the terms of reference from the September 2018 discussions between the President and Prime Minister. They are steadfast in maintaining that currency is beyond the scope of current negotiations. According to observers including Fareed Zakaria in his April 11th Global Briefing, Japan has become a leader in advocating free trade. Zakaria cites Michael Hirsch who credits Prime Minister Shinzo Abe with salvaging the Multinational Trans-Pacific Trade Agreement and providing a viable alternative to economic inroads into Asia by China through the Belt and Road initiative. Mexico is more desirous than Canada to ratify the USMCA, successor to NAFTA. 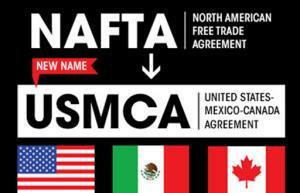 Labor reform was incorporated into the USMCA to prevent Mexico from exercising a competitive advantage from wages and conditions of employment considered detrimental to U.S. workers. The Lower House of the Mexican Congress passed the Worker’s Rights bill last week by a wide margin. Approval by the Senate is anticipated before the end of April. Jesus Seade, the designated negotiator for Mexico indicated that his country intends to pursue ratification of the USMCA. It is apparent that improved working conditions for workers in Mexico will be acceptable to Democrats in the House since ratification of the USMCA will depend on strong support from the Hispanic caucus. In order to achieve unanimity among the three signatories to USMCA, Canada may have to be placated by lifting tariffs imposed on steel and aluminum imported into the U.S. The District of Columbia Superior Court has dismissed a suit brought by the Animal Legal Defense Fund. The ALDF claimed that advertisements by Hormel for its Natural Choice brand were misleading. The plaintiff maintained that the term ‘natural’ implied a product free of hormones, antibiotics and preservatives. In dismissing the suit, the court referred to the USDA definition of ‘natural’ as “a product containing no artificial ingredient or added color and is only minimally processed”. The court ruled that if a producer can justifiably using the term ‘natural’ in a label in accordance with the USDA definition, the producer has every right to use the term ‘natural’ in promotion. In a statement following the ruling, Hormel noted “We continue to stand behind Hormel Natural Choice products which are minimally processed and contain no artificial ingredients or chemical preservatives as clearly stated on the package”. A separate issue relates to the presence of nitrites which may be carcinogenic. 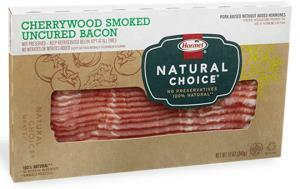 The Natural Choice label claims “no nitrates or nitrites added”. The company includes extracts from celery and cherries as natural preservatives. 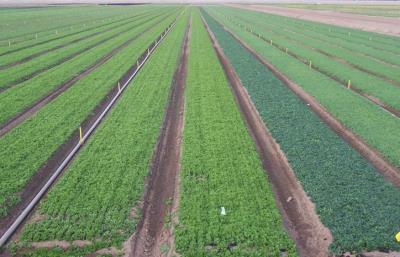 The Center for Science in the Public Interest considers that nitrates added from the plant sources could be converted by bacteria into sodium nitrite. There is no specific biological or epidemiologic information which could confirm this hypothesis with respect to either mutagenicity or carcinogenicity. The term ‘natural’ is an important label descriptor. Most consumers accept that ‘natural’ means free of additives and the term is apparently regarded more highly by consumers than ‘organic’ that can only be used in accordance with the rules of the USDA-AMS National Organic Program. Given the current definition of ‘natural’ as required by the USDA, the term can be widely used and perhaps abused in labels and by extension, advertising. The April 15th 2019 edition of MondayLine documented that Juan Manuel Gutierrez was installed as the president of the Mexican Association of Poultry Producers succeeding Cesar Quesada. Gutierrez is the president of the GM Group that produces eggs, pork and beef in the state of Jalisco. In commenting during his inauguration, Gutierrez noted “We’re not asking to close the border but to compete in similar circumstances on national and international levels”. Jim Sumner, president of USAPEEC commented “We are looking forward to working together with UNA in different project with win-win scenarios”. The National Association of Convenience Stores recently posted a report documenting the 16th consecutive year of record in-store sales for 2018. Although total sales increased by 8.9 percent to $654 billion, in-store sales advanced by 2.2 percent to $242 billion with 70 percent of sales represented by fuel which showed a 13.7 percent increase, partly due to escalation in unit price. A significant problem faced by convenience stores, is that with improved fuel consumption, fewer stops are made to fill up, which impacts in-store sales. Food service sales represented 22 percent of in-store sales and included prepared foods and beverages that generate high margins. Increases in in-store sales and remodeling are reflected in an average convenience store area of 3,200 square feet. Some units located on interstates and in urban areas extend over an area of 5,000 square feet. It is estimated that the capital costs for a new store is now approaching $7 million. The convenience store segment of retail is experiencing an escalation in direct operating expenses including wages, health-care insurance and credit card fees. Convenience stores are vulnerable to possible restrictive legislation on the sale of tobacco. Cigarettes and related products represent 37 percent of in-store sales. Convenience stores represent an important potential outlet for egg-based snacks including one- and two-pack hard-cooked peeled eggs. Innovation in egg-based ‘finger food” and snacks could contribute to increased demand. The American Egg Board has achieved success in moving product through QSRs and the food service industry. It would appear that the convenience store sector represents a new opportunity.